How the Ebola virus came to the United States and spread. Another person has died of Ebola on American soil, reminding U.S. citizens that although many health workers have survived the virus, even treatment at one of the best facilities doesn't guarantee being cured. The Ebola outbreak that began in West Africa has sickened at least 14,413 people since March, killing at least 5,177 of them as of Nov. 14 -- making it by far the worst outbreak of the virus in history, according to the World Health Organization. The virus first arrived in the United States via U.S. missionaries flown here for treatment this summer. 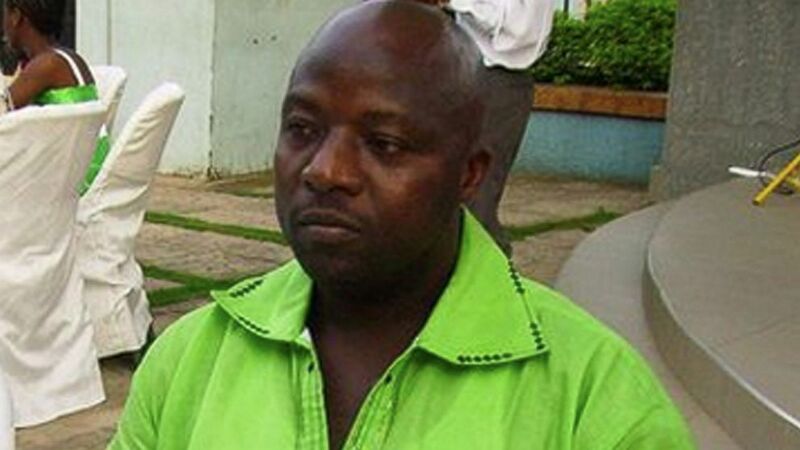 The Ebola virus was also unwittingly imported by Liberian tourist Thomas Eric Duncan, who flew from Liberia to Texas with the virus and later died in Dallas. Nov. 17. 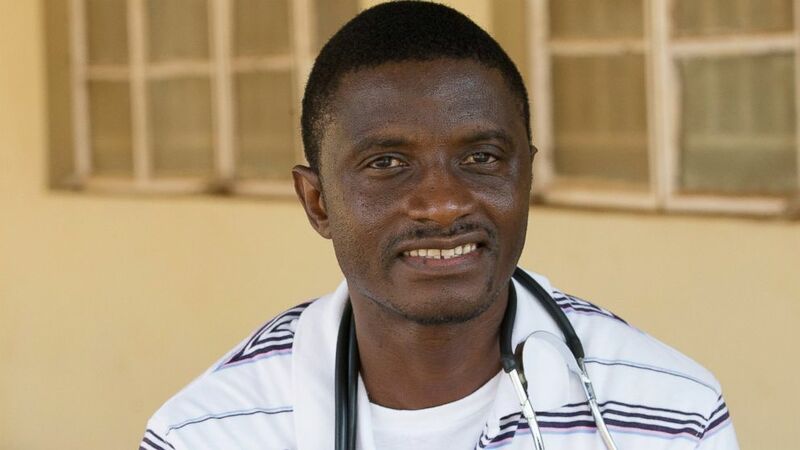 2014 - Dr. Martin Salia, a U.S. resident who contracted Ebola while treating patients in Sierra Leone, died of the virus at Nebraska Medical Center. He was the third patient to be treated there and the only one to have died. Nov. 15, 2014 - Salia, a native of Sierra Leone who lives in the U.S. and is married to a U.S. citizen, arrives at Nebraska Medical Center. He is "extremely ill," doctors say. His wife has agreed to pay for his trip to the U.S. for treatment. Nov. 10, 2014 - Salia tests positive for Ebola. Nov. 6, 2014 - Salia shows Ebola symptoms in Sierra Leone, but initially tests negative for the virus. (Mike DuBose/United Methodist News Service/AP Photo) In this April 2014 photo provided by the United Methodist News Service, Dr. Martin Salia poses for a photo at the United Methodist Church's Kissy Hospital outside Freetown, Sierra Leone. Oct. 24, 2014 - Dallas nurse Nina Pham, 26, the first person to contract Ebola in the United States, is virus-free, the National Institutes of Health announces. Oct. 23, 2014 - Dr. Craig Allen Spencer is diagnosed with Ebola the same day he went into isolation at Bellevue Hospital in Manhattan. According to the hospital, he had a fever and gastrointestinal symptoms when he was taken to Bellevue. Spencer recently returned from Guinea, where he was working with Doctors Without Borders. 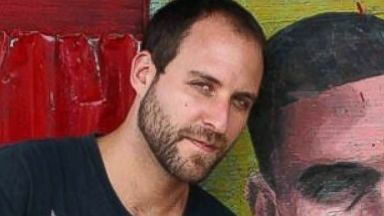 NYC Mayor Bill de Blasio said at a news conference that Spencer only had symptoms for "a very brief period of time" and only had contact with "very few" people. He described the patient as "in good shape." 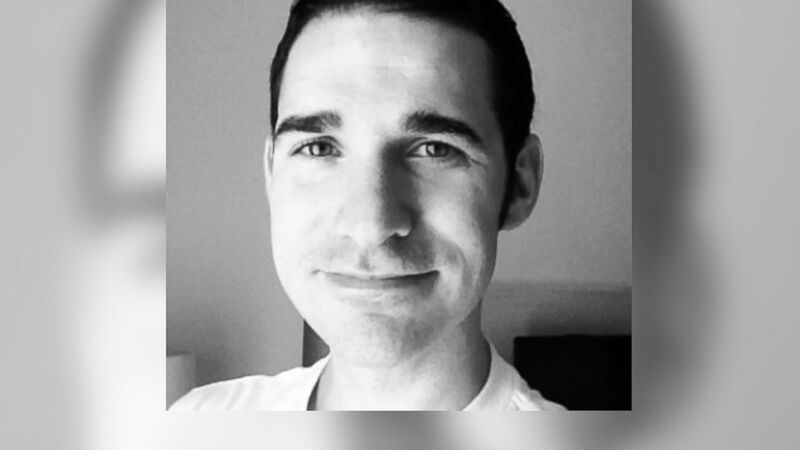 (Craig Spencer/LinkedIn) Dr. Craig Spencer is seen in this undated LinkedIn profile photo. Oct. 22, 2014 - Ebola patient Amber Vinson, 29, a nurse who treated Thomas Eric Duncan, the first person diagnosed with Ebola on American soil, is declared virus-free at Emory University Hospital, where she was transferred after testing positive for the virus at Texas Health Presbyterian Hospital, where she works. Her family said she tested negative for the virus and would be moved from isolation. Oct. 19, 2014 - The unnamed American Ebola patient is discharged from Emory University Hospital, where the patient had been undergoing care since Sept. 9. This patient had been working for the WHO in Sierra Leone and chose to remain anonymous. Oct. 17, 2014 - Spencer arrives back in the United States via Brussels after spending a month in Guinea with Doctors Without Borders treating Ebola patients. He lands in New York's John F. Kennedy International Airport. Oct. 17, 2014 - Officials announce that a Dallas health worker who handled clinical specimens from Duncan, the first person diagnosed with Ebola on American soil, is quarantined aboard a Carnival cruise ship amid concerns the worker may have been exposed to the Ebola virus. 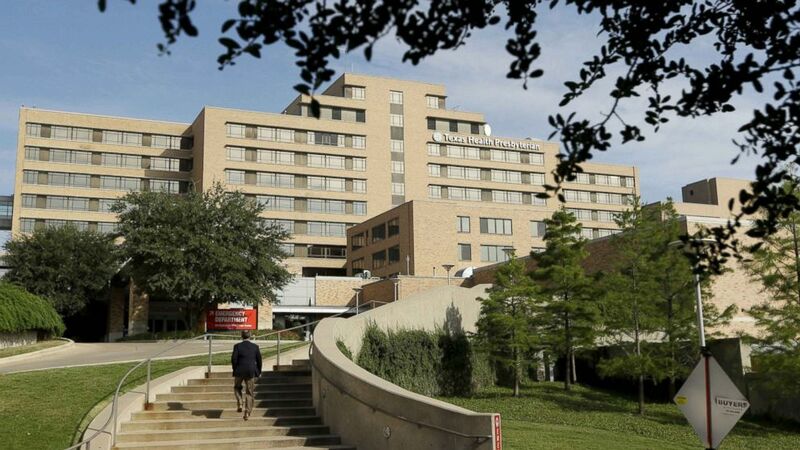 Oct. 16, 2014 - Pham is flown from Texas Health Presbyterian Hospital in Dallas to the National Institutes of Health hospital in Bethesda, Maryland. Pham treated Duncan at Texas Health Presbyterian Hospital, where she works. Oct. 15, 2014 - Vinson is diagnosed with Ebola shortly after midnight and flown to Emory University Hospital that evening. Oct. 14, 2014 - Vinson is taken to Texas Health Presbyterian Hospital in Dallas with a fever. Oct. 13, 2014 - Vinson flies from Cleveland to Dallas on Frontier Airlines Flight 1143, arriving at 8:16 p.m. She has no symptoms, but her temperature was 99.5 degrees that morning, according to health officials. She notified the Centers for Disease Control and Prevention before boarding, and no one told her not to fly. 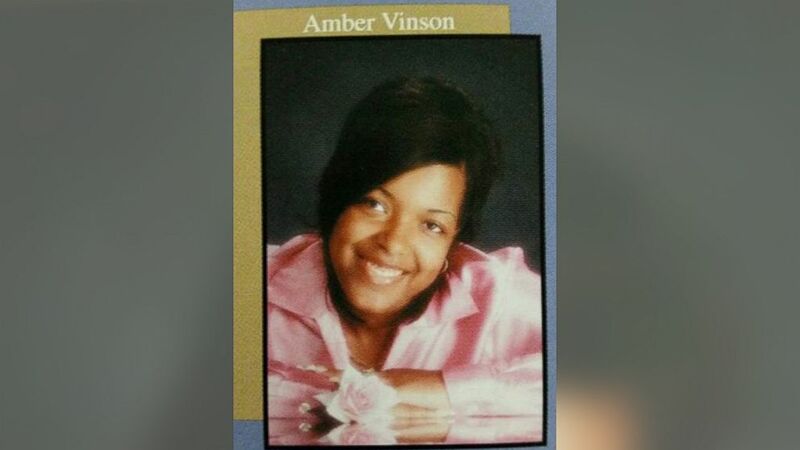 (Akron Public Schools) Amber Joy Vinson, the second Texas nurse to test positive for Ebola, is seen in this 2003 Firestone High School Yearbook Photo. Oct. 12, 2014 - An unidentified Dallas health worker who handled Duncan's clinical specimens at Texas Healthy Presbyterian Hospital boards a cruise ship. The CDC notified the worker about active monitoring after the cruise ship left the country, according to a government statement. Oct. 10, 2014 - Vinson takes a commercial flight from Dallas to Cleveland, Ohio, to prepare for her upcoming wedding. Oct. 9, 2014 – A Dallas County sheriff's deputy who reported symptoms associated with Ebola after serving a quarantine order on the apartment where Duncan had been staying tests negative for the virus. 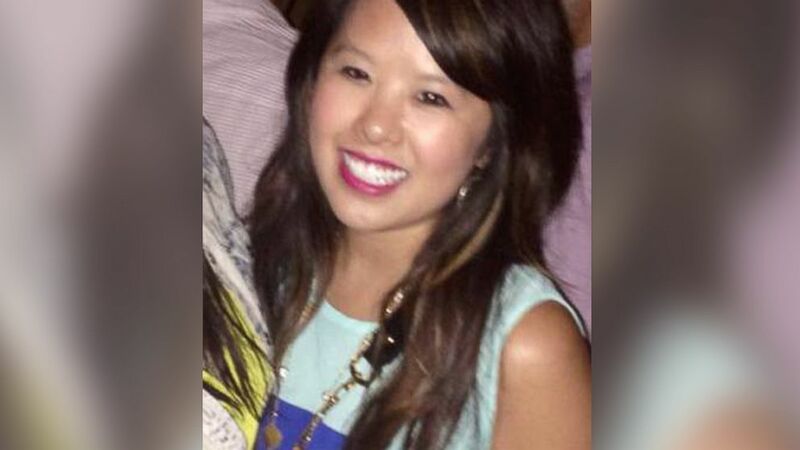 (Courtesy Pham Family) Nina Pham is seen in this undated handout photo provided by her family. (LM Otero/AP Photo) This stairway leads to the Texas Health Presbyterian Hospital in Dallas, Sept. 30, 2014. (Wilmot Chayee/AP Photo) Thomas Eric Duncan, seen here in this 2011 file photo, was the first patient diagnosed with Ebola in the U.S.
Sept. 25, 2014 – Sacra is deemed virus-free and released from Nebraska Medical Center, where he had spent weeks in an isolation ward recovering from Ebola. 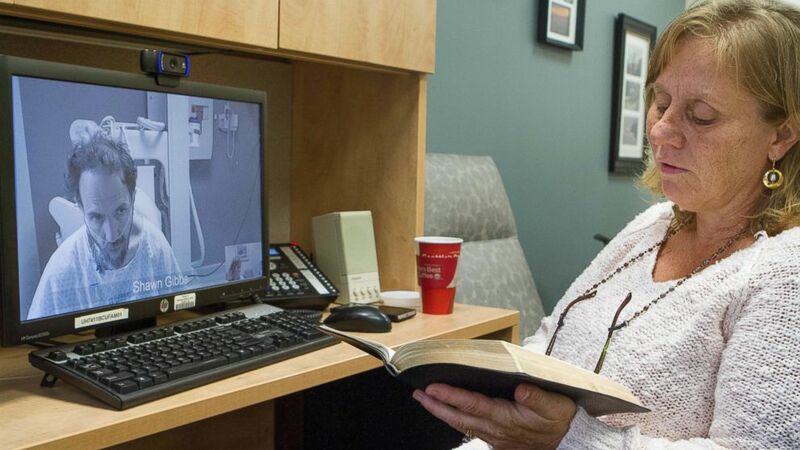 (Max Sacra/AP Photo) In this Sept. 10, 2014 photo released by the Nebraska Medical Center, Debbie Sacra reads Bible verses to her husband Dr. Richard Sacra via a video link in Omaha, Neb. (Bethany Fankhauser/SIM ) Dr. Richard Besser walks with Ebola survivor Nancy Writebol and her husband, David. July 27, 2014 – Missionary groups report that two Americans are sickened with Ebola while helping patients in Monrovia, Liberia. Brantly and Writebol were working for aid groups Samaritan's Purse and SIM, respectively. Brantly later told reporters he held patients' hands as they were dying. 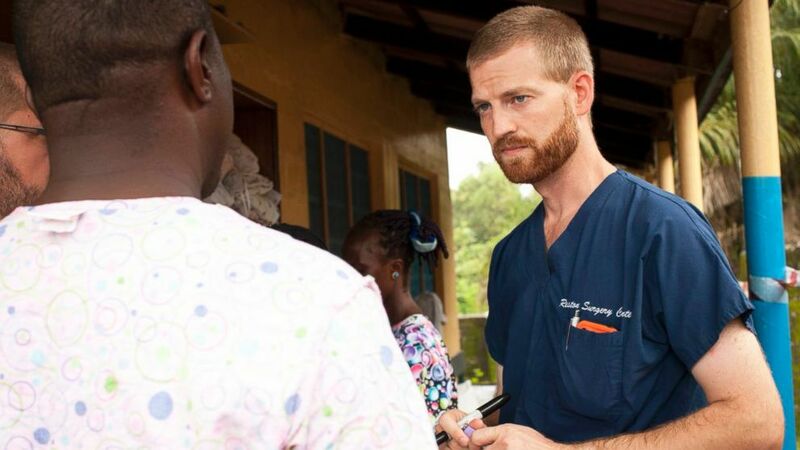 (Courtesy Samaritan's Purse) Dr. Kent Brantly speaks with a worker outside the ELWA Hospital in Monrovia, Liberia, in this undated handout photo provided by Samaritan's Purse. March 19, 2014 – What would become the largest Ebola outbreak in history begins in March 2014 with 23 deaths from what is then called a "mystery" hemorrhagic fever. 1976 – Ebola is first discovered in what is now the Democratic Republic of Congo near the Ebola River in 1976. Thirty-two Ebola outbreaks would follow, bringing the total number of cases before this outbreak to 2,361, including 1,438 deaths, according to the WHO. 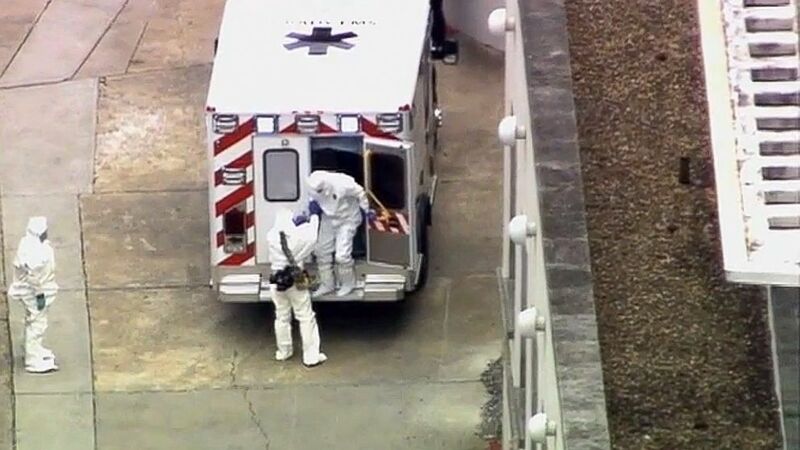 (WSB-TV Atlanta/AP Photo) An ambulance arrives with Ebola victim Dr. Kent Brantly, right, to Emory University Hospital, Saturday, Aug. 2, 2014, in Atlanta.